Wearing dirty mountain bike shoes to work doesn't always go over well with your boss and co-workers. The cycling-specific features include a reflective back tab for night rides, as well as an easily-cleanable, weather-resistant leather and man-made upper to keep your feet clean and dry. 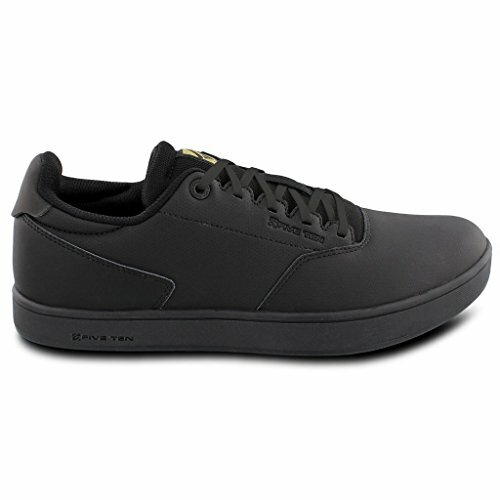 The District walks the fine line of being a fashion-forward shoe with technical cycling features. Good for: Urban commuting. Details: Non-marking Marathon rubber outsole, PU-coated leather upper, one-piece molded cupsole, textile lining, reflective back tab. Material: Faux Leather, Textile, Rubber, Man Made. If you have any questions about this product by Five Ten, contact us by completing and submitting the form below. If you are looking for a specif part number, please include it with your message.